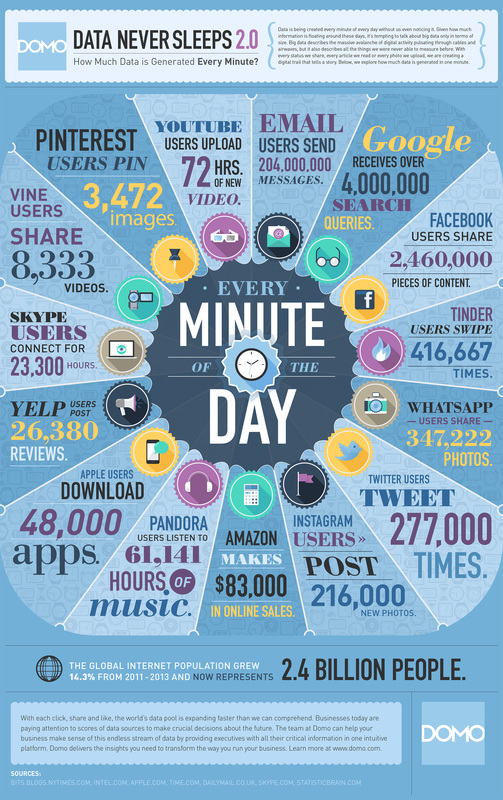 How Much Data Is Created On The Web Every Minute? 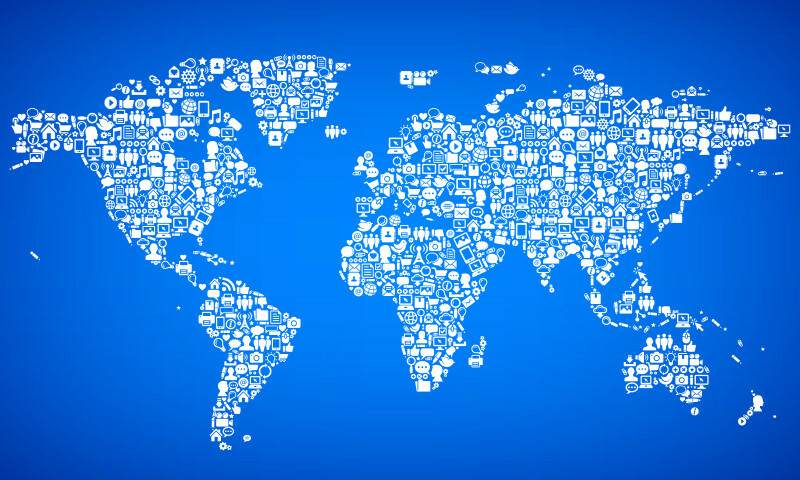 How much data is created on the web every minute? How about every day? ‘A mind boggling amount’ may be an understatement. The Internet is an incredible, gigantic platform that captures three billion users’ data and search results daily. For example, every minute 4.1 million posts are ‘liked’ on Facebook. Apple users download an average of 51,000 apps every single minute. YouTube users upload 300hrs of video content in that same 60 seconds. Can you even imagine that? To visualise the essential nature of the Internet in our life and society, the Domo team has released an infographic that tries to capture it all. Domo collected data from other service and Internet providers to create their image. Viewers can see how many passengers booked an Uber car and how many Snapchat users shared a snap. And for lonely hearts, they even provide a stat on how many swipes there were on Tinder today.